In large bowl, combine 3 lb mixed fresh berries, 3/4 cup of the sugar, the 1/4 cup lemon juice and 1/2 cup all-purpose flour; gently stir together until all berries are well coated. Pour into ungreased 13x9-inch (3-quart) ceramic or glass baking dish. Bake 20 minutes or until berry mixture bubbles slightly. Meanwhile, separate 1 can (16.3 oz) Pillsbury™ Grands!™ Southern Homestyle refrigerated Original biscuits into 8 biscuits. Cut each biscuit into 4 pieces. In small bowl, stir together remaining 1/4 cup sugar and the 1 teaspoon ground cinnamon. 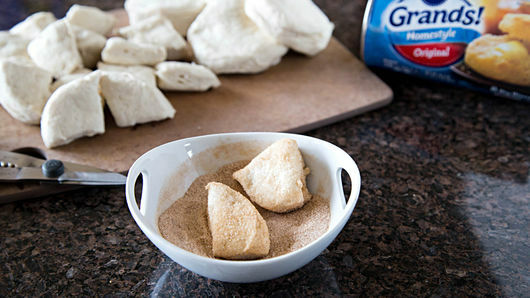 Roll each biscuit piece in sugar-cinnamon mixture. Remove baking dish from oven. 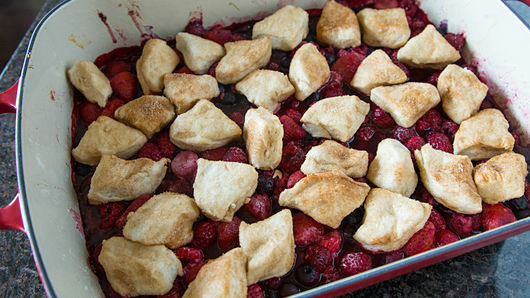 Top berry mixture evenly with biscuit pieces. 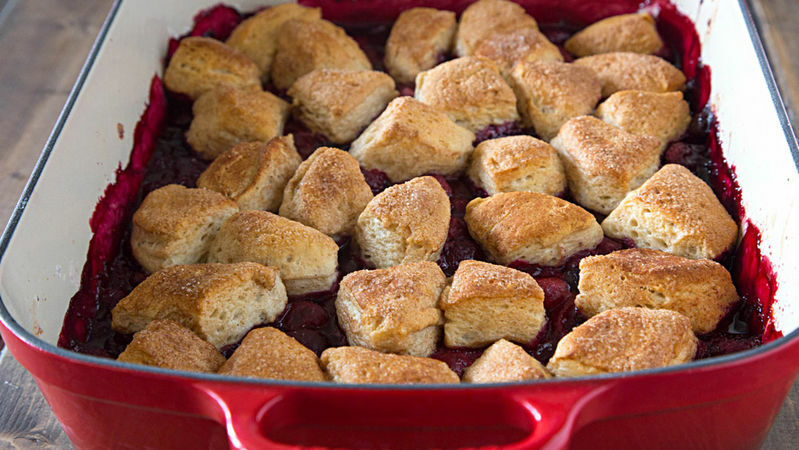 Return to oven; bake 25 minutes or until biscuit pieces are golden brown and berry mixture is bubbling. Serve warm with a scoop of vanilla ice cream. You can mix up the fruit - peaches and raspberries would be great together. Can't find fresh fruit? 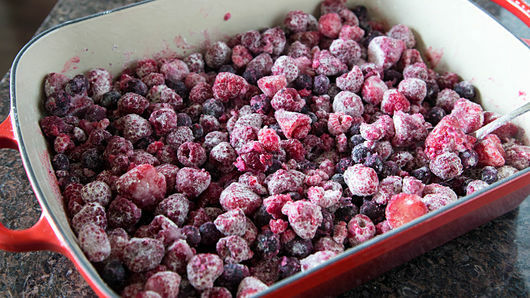 Frozen fruit will work perfectly!